Brenda's uncanny ability to visualize and arrange seemingly opposite styles into a cohesive design is unmatched. She can help you discover and develop your own personal style and expression. She opened Casa Bella in 2010 and has established a great reputation within our community. She has collected a team of helpful, talented staff who are happy to help you choose from many unique and quality items. Brenda always says "Casa Bella is a great place for our consignors to showcase and sell their exceptional quality furniture". Our showroom features furniture, home decor, rugs, lamps, artwork, and more. Everything is in great condition and priced reasonably. We carry name brands such as Thomasville, Ashley, Lexington, Basset, Lane, and more. At Casa Bella, we are proud to provide great quality, exceptionally clean, furniture and home decor at reasonable prices. We eliminate the labor intensive process of a garage sale, the expense of running ads in the newspaper, and strangers calling you at home. New items are also available. We offer a lower retail price on these items so we can sell them quickly and keep the store stocked with fresh, new merchandise partnered with our high quality consigned furniture. It is a NEW STORE everyday! Casa Bella is community minded and promotes local business by participating in a number of ways through donations and also helping to stage events in the surrounding area. In 2014, our goal is to become involved in the “Wounded Warrior” program and develop ways to raise awareness for our local heroes. At Casa Bella you will find a friendly and inspiring atmosphere to “browse” and who knows… you just may find a “treasure” you can’t live without! We look forward to seeing you soon! 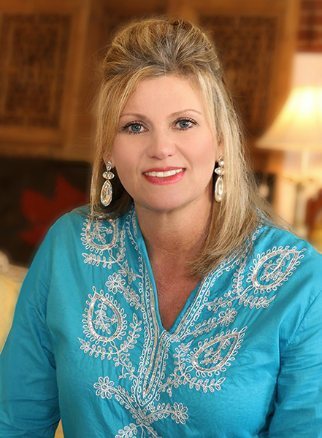 Kathryn Curry joined the staff of Casa Bella in April of 2013. Kathryn feels right at home at Casa Bella, greeting customers as they arrive, and helping them to tap into their own creativity as they look for beautiful things for their homes. She loves beautiful furniture and she loves to paint. The painting parties at Casa Bella give her an opportunity to put her skills to good use. Art has always been a passion for Kathryn. She attended watercolor lessons in Magnolia Arkansas, under the tutelage of artist John Birdsong, and entered her work into a regional fund raiser and art exhibit. Kathryn was delighted to take home a ribbon and a cash award. 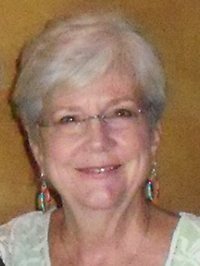 She has been a member of Mid -Southern Watercolorists Association, the “Artists Workshop Gallery”, and the Traditional Art Guild, having held office with that organization for two years. In the course of the past fourteen years, Kathryn has sold art work and brought home awards from other regional art exhibits. She is one of the in-house artists at Casa Bella, conducting private and public painting parties and workshops.